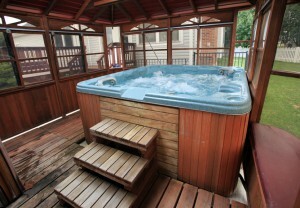 Hot tubs are the gift that just keeps giving, especially as the temperature falls. Below we've listed some gift ideas for the spa lovers in your life, or maybe just treat yourself! 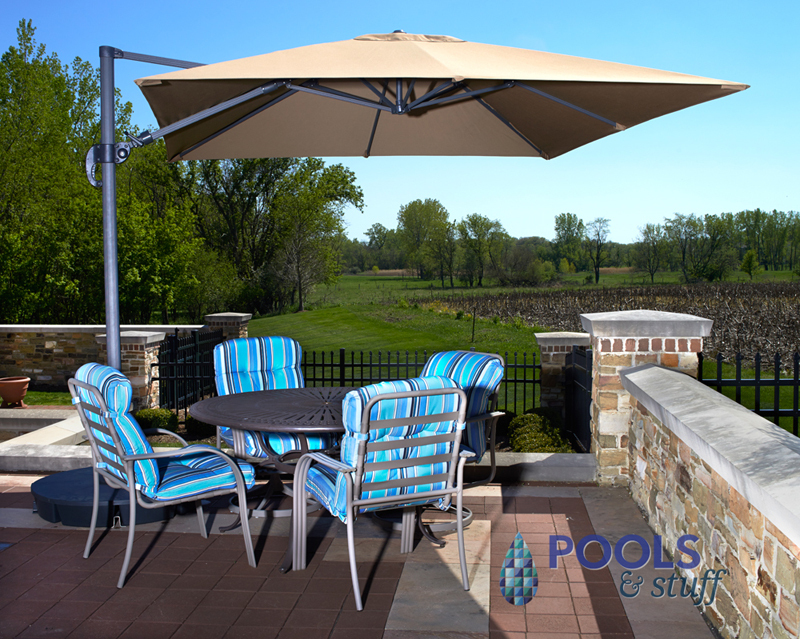 Santorini II Fiesta Cantilever Umbrella ($915) -- This attractive umbrella will keep the rain off in the spring, the sun off in the summer, the leaves off in the autumn, and the snow off in the winter, making your hot tub comfortable to use all year round. Comes in two colors and has solar LED lights. Elegance Portable Inflatable Hot Tub ($899) -- If you're reading this, you already know how great hot tubs are. Why not buy one for someone special? This inflatable hot tub is a great starter spa! Round Table 42" H Bar Table ($348) -- This beautiful table is available in 6 color options, and 5 diameter sizes (24", 30", 36", 48", 58" & 68"). 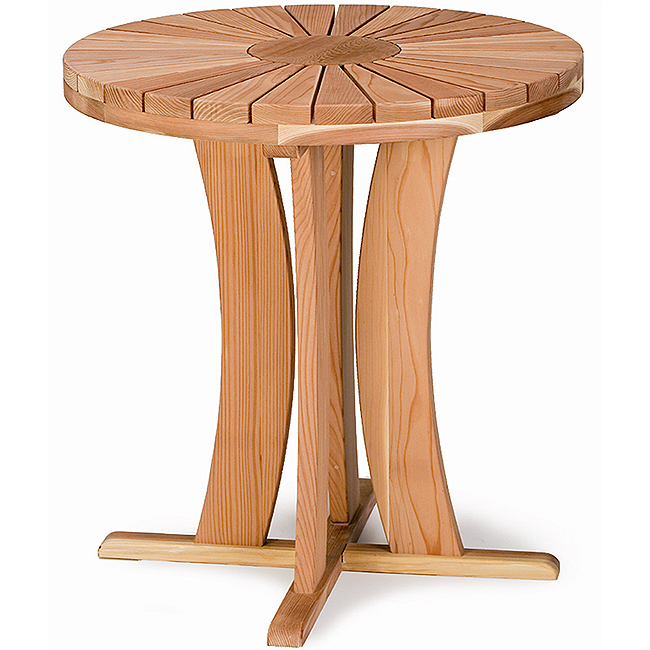 Top-quality select grade California Redwood, a renewable resource, is used to construct this practical table. Provides a perfect for spa-side space for drinks, towels, books, or a portable radio. Drink Caddy ($80) -- Unique design of this drink caddy provides safe and easy transport to and from the hot tub. It comes in six attractive finishes. 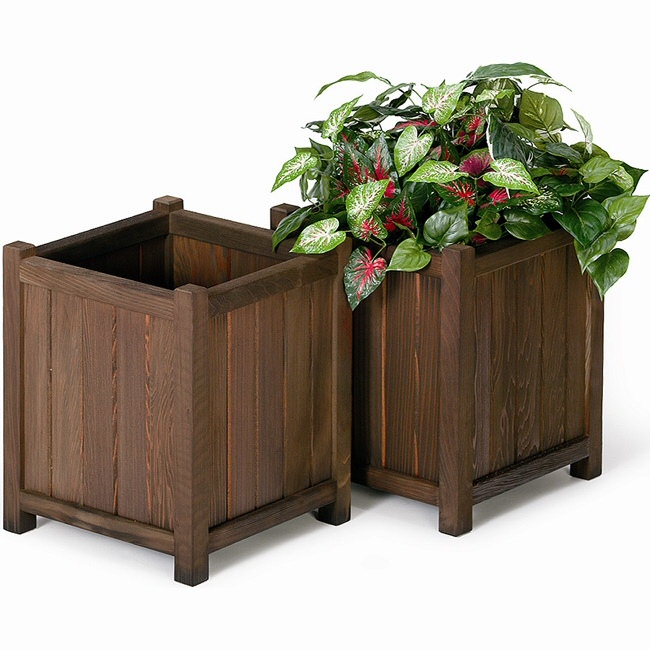 Square Redwood Planter Boxes ($232) -- Make your hot tub a destination with these attractive square planters with a pot shelf that allows for a quick exchange of seasonal color. Sized for two 6" potted plants or can be filled with ice to cool your favorite beverage. Available in six colors to match any décor. Attached Spa Bar ($84) -- This attached spa bar turns your hot tub into Party Central. It comes in five attractive colors. Add some matching bar stools and guests can mingle or soak without having to leave the hot tub area. There's not much time left before the big holiday, so order soon to ensure your purchase arrives on time! If you need any help choosing the perfect gift, contact us and we'd love to help! This entry was posted in Hot Tubs and tagged hot tubs, spas, holiday, gift ideas on December 4, 2013 by admin.